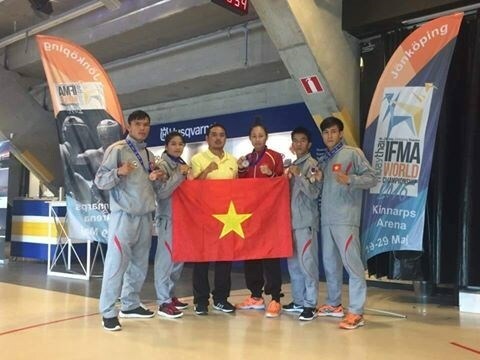 Hanoi (VNA) - The national muaythai team wrapped up the Sweden World Championship on May 28 with one gold, one silver and three bronze medals. Nguyen Tran Duy Nhat won his six gold medals in a row in the men’s 60kg class, after beating Mirbek Sartkalmakov of Kygryzstan in the final match. His teammate Bui Yen Ly lost to Jlhan Baurukkacli of Morocco in the women’s 51kg category.